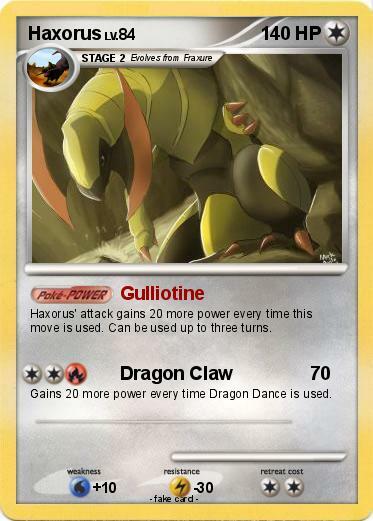 Haxorus' attack gains 20 more power every time this move is used. Can be used up to three turns. Gains 20 more power every time Dragon Dance is used.